Here is my another nail art.This time I have done stamping with Mash image plate. 1.Apply your base coat and then 2 coats of red colour. 2.Then take your orange nail polish and apply it on sponge and dab it right onto the middle of the nail.Repeat this process for every nail until you get a visible gradient in the middle. 3.Next,take your bright yellow colour and again do the exact same thing with a new sponge,this time sponge it right in the center of the nails so that orange gradient is also visible. 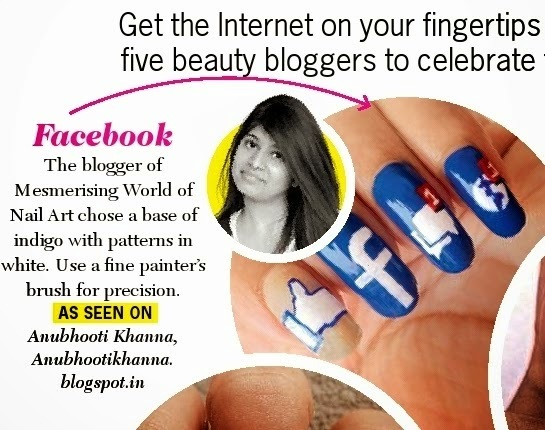 4.Then,Take your golden glitter nail polish and apply it on each nail and let it dry. 5.Now,using your image plate,stamp any design you like with black polish. 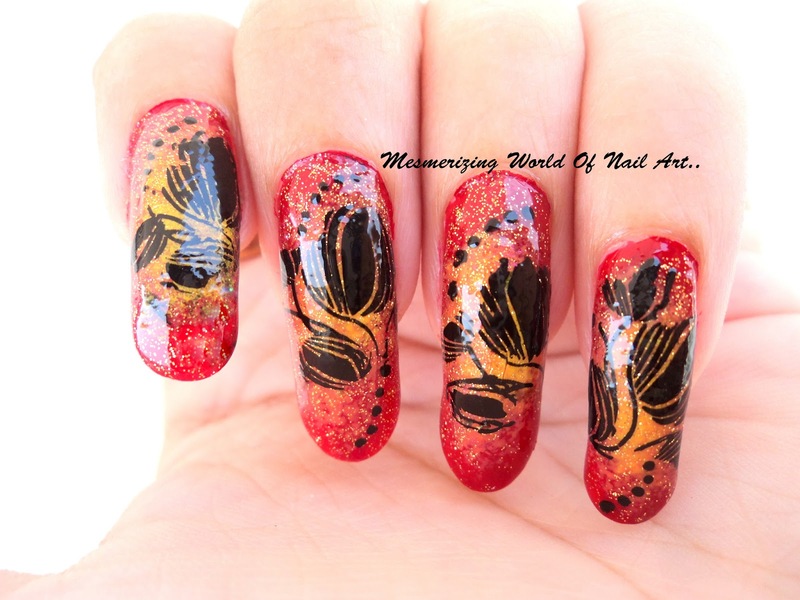 (i used mash image plate-23).You can use konad stamping polish or any opaque black polish. 6.Take your dotting tool and make random black dots.